One of the more scholarly books about mail-order house catalogs is Houses from Books, published in 2000. In it, author Daniel D. Reiff analyzes how architectural publications and house catalogs influenced residential architecture styles. 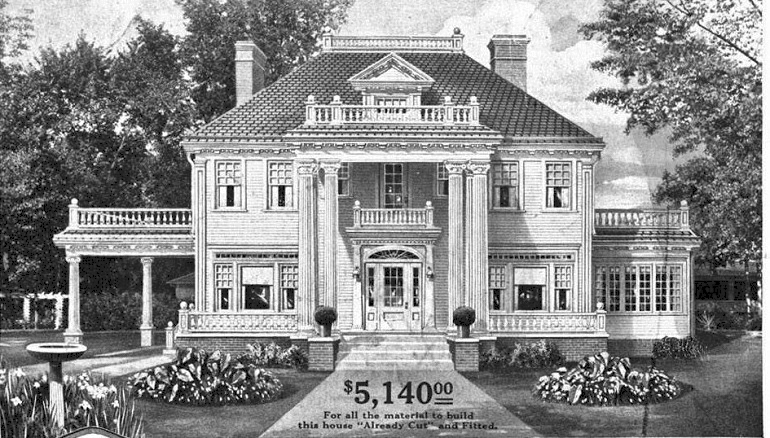 The Sears Magnolia, a house in the Georgian Revival style, was featured in the Sears Modern Homes catalog from 1918 to 1923. According to the catalog copy, "Many will recognize a close resemblance in the Magnolia to the famous residence at Cambridge, Mass., where the poet [Henry Wadsworth] Longfellow composed his immortal works." Vassall-Craigie-Longfellow House, in Cambridge, Massachusetts, built in 1759. This house was George Washington's headquarters for 10 months in the Revolutionary War, and noted poet Henry Wadsworth Longellow's house for nearly fifty years. Photo courtesy of Wikipedia. Reiff posits that the Magnolia's design may have been more influenced by the Auguste L. Langellier house in Watseka, Illinois, built in 1903. 719 S. Fourth St. Watseka, Illinois. Auguste Langellier was a dairy farmer who clearly had some bucks. Photo courtesy of the Iroquois County Genealogy Society. 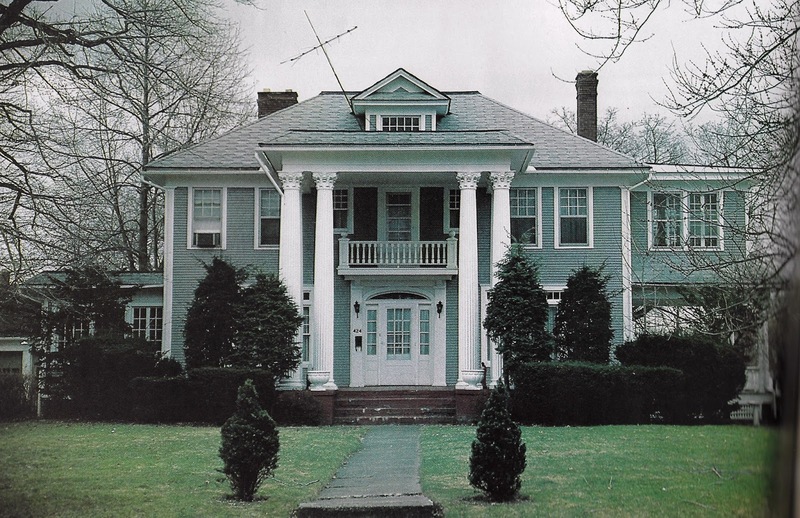 Colonial Revival was a popular architectural movement in the late 1890's. There could have been many inspirations for the Magnolia in the architectural journals and the house plan books. A Sears Magnolia at 424 19th St NW, Canton, OH. This is an authenticated Sears Magnolia, built in 1923. The original owners took out a mortgage from Sears Roebuck for $9,588.71. The photo was taken in the early 1980's, meaning the house was already 60 years old! Photo courtesy of the Ohio Historical Society. I am pleased and amazed! I had no idea that an obscure little town in Illinois would have such a connection to the most treasured of all Sears homes! My husband grew up in Sheldon, the town just 8 miles to the east of Watseka and my father-in-law and wife live there currently and have for many years. And Watseka was/still is "going to town" for anyone living where my husband lived. I have spent a great deal of time in both places myself, and I know the name Langellier in that area is quite prominent, and well known. I believe I have seen this house before, when being taken on tours of the town landmarks years ago. As for Mr Langellier, he wasn't just a dairy farmer with some bucks, he was also the publisher of the Iroquois County Times newspaper from 1875 to 1900....I imagine that put a few bucks away in his bank account as well! Thanks, Shari! That explains it.